New month, new competition! 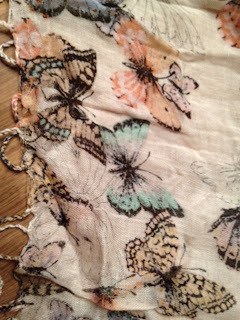 This month, I have a gorgeous Warehouse Butterfly Scarf worth £22 to give away to one lucky fan of my blog. 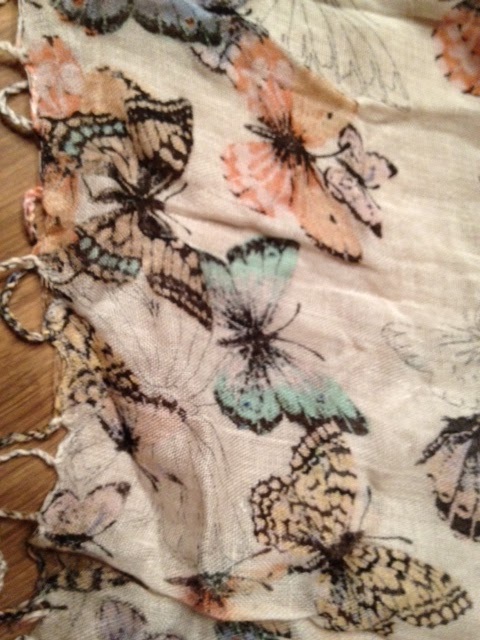 This gorgeous scarf will brighten up your spring wardrobe with its beautiful pastel colours on a cream base. It's lightweight and so on trend - you'll be one stylish girl wearing it. Share my blog with your friends via Facebook. Simply click on the scarf image on my School Gate Style Facebook page and share on your Facebook profile. Subscribe to my blog emails by typing your email address into the box on the top right of this page. Remember to verify your email address by replying to the email confirming your subscription! On the 31st March, I'll combine all my followers, email subscribers, twitter followers, comment makers and Facebook fans and pick a winner, so if you've done all 5, you'll have 5 chances of winning! am reaaly in to scarves at the minute.... its lovely. Do i have to be on Twitter to be in with a chance? am currently not. Omg it has sold out online and my order was cancelled!!!!!! Ahhhhh! Your blog is costing my a fortune!!!! If I won I'd give the scarf to my mum, she could do with a little cheering up at the moment. 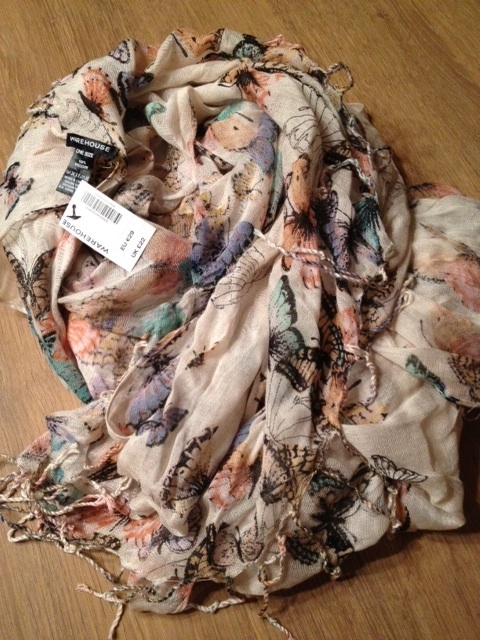 You have "made" me buy so many things & this scarf will just be the cherry on my cake! My husband will also be impressed if I win as at least I didn't have to pay for another stylish item!